Dancehall star Spice says colourism is plaguing the black community. She made the remark in a message to fans on social media Friday as she spoke about the rationale behind her recent move to alter her looks in line with what she said were “Eurocentric beauty standards”. In the lengthy post, accompanied by a photo of herself in her natural dark-skinned tone, Spice said she was forced to go to the “extreme” in order to get the point across. "I wanted to create awareness to ‘Colorism’ and it was more so done intentionally to create shock value so that I could have the world's undivided attention to deliver the message in my music,” Spice, whose real name is Grace Hamilton, wrote. She said that she has been a victim of ‘colourism’, with people often attempting to ridicule her over her dark complexion. “There are dark skin women across the world complaining every day that they are being downplayed and degraded, but the raw truth is it is us ‘black women’ and ‘black men’ that are fighting against each other and tearing down our own race," Spice wrote. 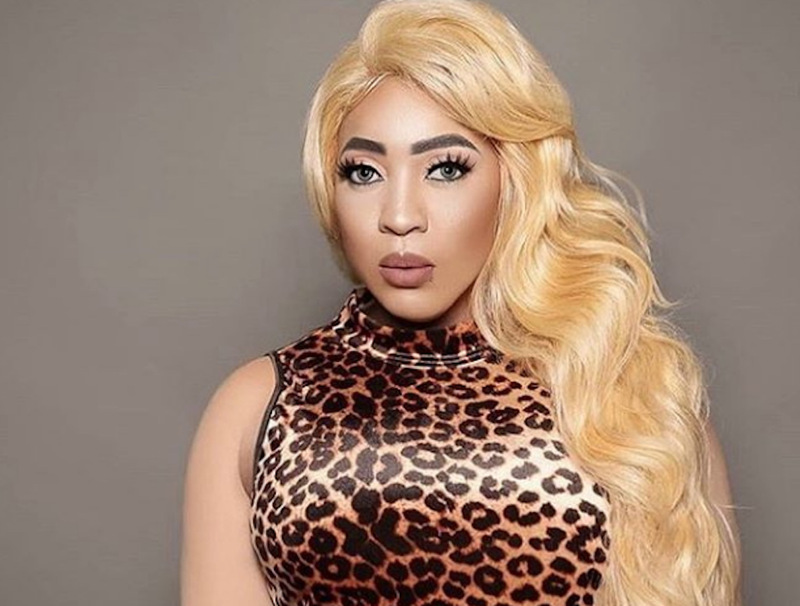 Spice created a major brouhaha on social media in late October when she showed off the light-skinned look on Instagram. While public opinion was split initially over whether the artiste had bleached her skin, it soon became apparent that she was promoting a new song, ‘Black Hypocrisy’, in which she sings about ‘colourism’ in the black community, an underlying issue behind the bleaching phenomenon. 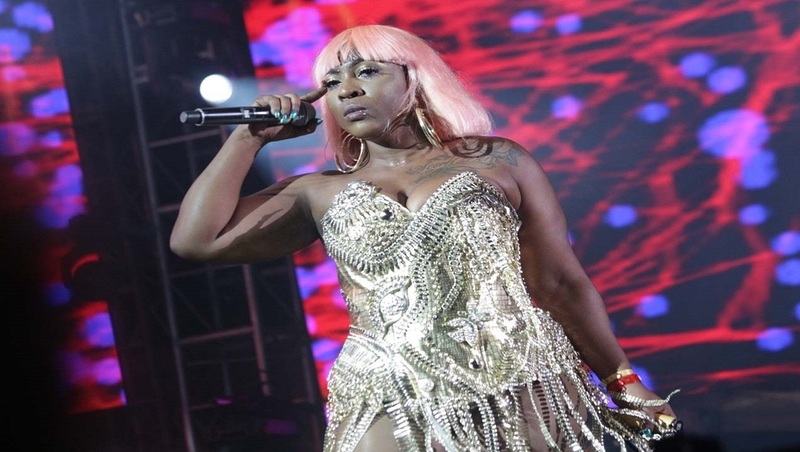 The move attracted worldwide attention to the dancehall star and Jamaica's skin bleaching crisis, with even popular American talk show host Wendy Williams highlighting it in her hot topic section. 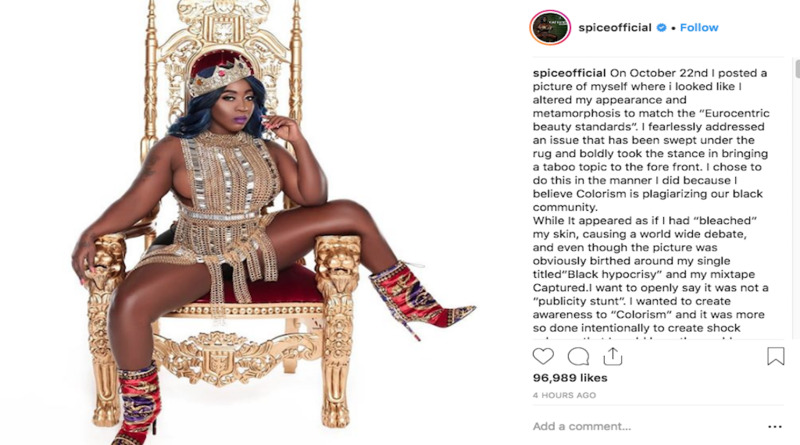 In her message to fans, however, Spice stressed that she did not bleach her skin, and declared that she was proud of her skin colour. Read Spice’s message in full below.